The Fair-trade range of tea, coffee, hot chocolate and sugar produced by Sprout Coffee is available from the following retail outlets. Sprout Coffee brings you high quality Fair trade tea and coffee products that provide excellent value in every cup. Choose from coffee beans, instant coffee and a selection of premium and organic teas. 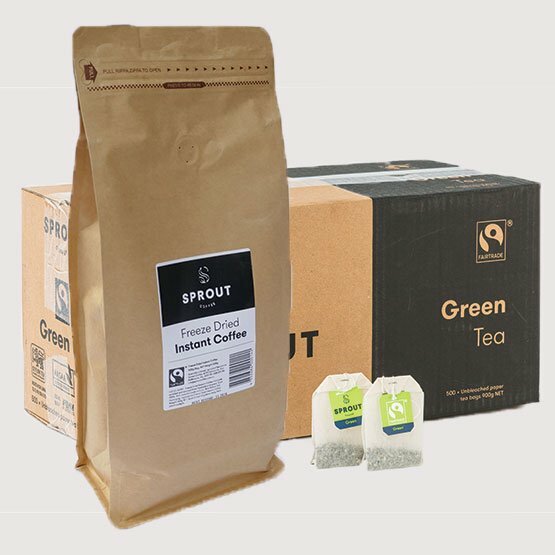 And with Sprout’s complete fair-trade range you can enjoy great tasting, ethically sourced beverages that directly support small plot growers, their families and communities.